In 2012, pitcher Jamie Moyer started ten games in April and May for a lousy, dull Colorado Rockies team. He was terrible. He had an ERA of 5.70, giving up almost a hit and a half an inning, and, in his final start of the season, he was drilled for four homers and seven runs in five innings. The Rockies mercifully released him after that game, a journeyman let go by a team that was already going nowhere. It was an entirely unremarkable transaction that nevertheless depressed just about every person I knew. The reason for this was simple: Jamie Moyer was old. He was 49 years old — he would turn 50 at the end of the season — which, when he earned the latter of his two wins that May, made him the oldest pitcher in Major League Baseball history to win a game. It wasn’t his skills that made him beloved among baseball fans, though: It was that he was pitching at all. The fact that a 49-year-old was still an active major leaguer made everyone I knew feel younger than they really were. The end of Moyer meant the end of the illusion of youth. Every sports fan goes through this, the accelerating aging process of sports, watching our own cycle of birth, life, and death play out with our favorite players right in front of us. Athletes essentially age like dogs: Take how many years they’ve been playing, multiply it by seven, and that’s how old their career is in normal human time, before retirement, i.e. death. (In football the life cycle is more like tsetse fly’s.) A player’s career is nearly over by the time many of us are still figuring out what the hell we’re doing in our lives. (We’re all now old enough that the players we watched in college are now running for president.) My marker was former Phillies/Tigers/Cardinals infielder Placido Polanco, who was born on October 10, 1975, the same day as me; he quit the game three years ago, though I like to kid myself he’s got a comeback left in him. The day the last athlete older than you retires is a dark one indeed. I bring all this up because sports, more than at any other time I can remember, have become deeply, almost obsessively preoccupied with youth. 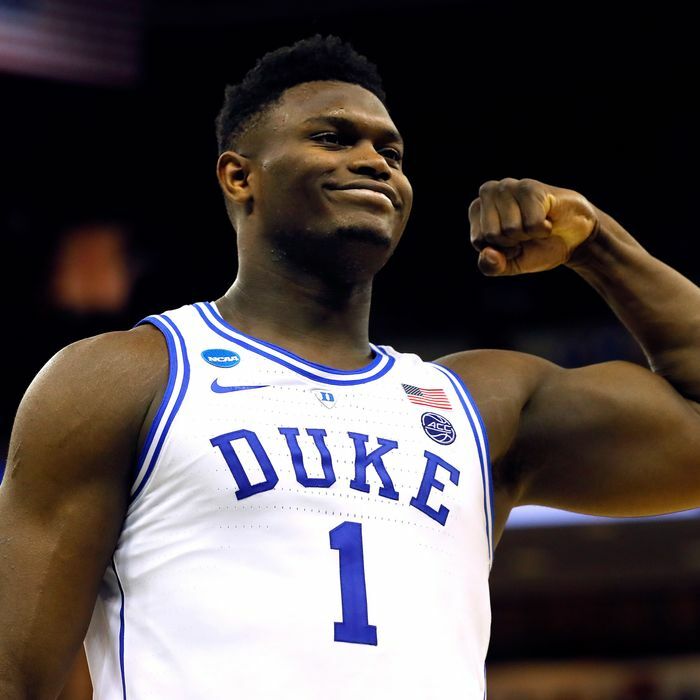 NBA teams are losing entire season schedules on purpose, so they can position themselves to draft 18-year-old Zion Williamson (or 19-year-old Ja Morant). The NFL draft has dominated so many SportsCenter episodes this winter and spring, you’d think the sport was actually in season. Major League Baseball — whose National League Rookie of the Year runner-up last season didn’t turn 20 until the season was over; as a point of comparison, Mariano Rivera didn’t make his MLB debut until he was 25 — now values young players over veterans so much that it might just be moving toward a labor Armageddon in a few years. Annually for the last five years, I’ve written a Top Ten Oldest Players in Baseball right before the season started. Five years ago there were nine players 39 or older; today there are only three. By next year, I bet there will be none. That sports are getting dramatically, exponentially younger is not an academic concern, or one whose only effects are on the egos of the middle-aged. As sports have become more analytical and more reliant on enhanced biometric evaluation tools, they’ve become more focused on pure athletic skill — power, speed, strength — and less on guile, strategy, and experience … you know, those things that have been the backbone of every sports narrative for about 10,000 years. Teams and players, in all sports, have become more efficient and specialized; the management of a team is not particularly different from the management of a hedge fund at this point. But fans watch sports to be inspired, not to watch a hedge fund be efficiently managed. The popular imagination has always deified the grizzled veteran or the wizened grump with decades of experience and a few tricks up his sleeve, from Crash Davis to Jimmy Dugan to Norman Dale to Reggie Dunlop. But those sorts of guys are being phased out of sports today; young wonks who can interpret data and transfer it to the field are all the rage now. In the NBA, an open-floor game that emphasizes athleticism, this can be glorious to watch; in baseball, it’s mostly just a lot of young guys trying to hit homers or (more likely) striking out trying. The sport this may have affected most profoundly is golf. Golf has benefited from the helpful illusion that the sport the professionals play bears some resemblance to the one all those duffers are playing on Saturdays while riding around and drinking Bud Lights. (Thus, the eternal popularity of cigarette-smoking, Jack Daniels–swigging, beer-gutted John Daly, still more famous in this country than most of the sport’s greatest players.) But the biomechanical training revolution Tiger Woods started has turned a sport that was once about intestinal fortitude and emotional control into just another pure power sport like everything else. To even be competitive in golf, you have to smash the ball off the tee. Currently, 46 golfers average more than 300 yards on their drives; in the year 2002, that number was one. Players now hit like the young, hyperspecialized monsters they are, and the normal fan cannot relate. When you’re duffing at your local public course, you are literally not playing the same sport. And the game’s popularity has undeniably suffered. But then again: How could it not? Fans grew up dreaming of being famous sports stars, but the way training has become so professionalized at such a young age, today’s athletes never get to grow up at all. If you’re dreaming of what it might be like to a star, frankly, it’s already too late for you: You’re already behind. The idea of the plucky, overlooked underdog loses any connection to reality — there are no underdogs when our elite athletes are groomed to be as specialized as possible as early as possible. What can you believe in, or invest in, when it’s an endless succession of Next Big Things? As our sports get younger, they get even more and more removed from our everyday existence. The problem now is not the Wooderson issue of the rest of us getting older while baseball players stay the same age; players today aren’t even staying that age anymore. On Sunday afternoon, Toronto Blue Jays reliever Elvis Luciano made his Major League debut. His appearance wasn’t worthy of much note, except for one thing: At 19 years and 44 days old, he became the first MLB player to be born in the 2000s. If that makes you feel impossibly old, fret not: Luciano will be the old man himself, soon enough.